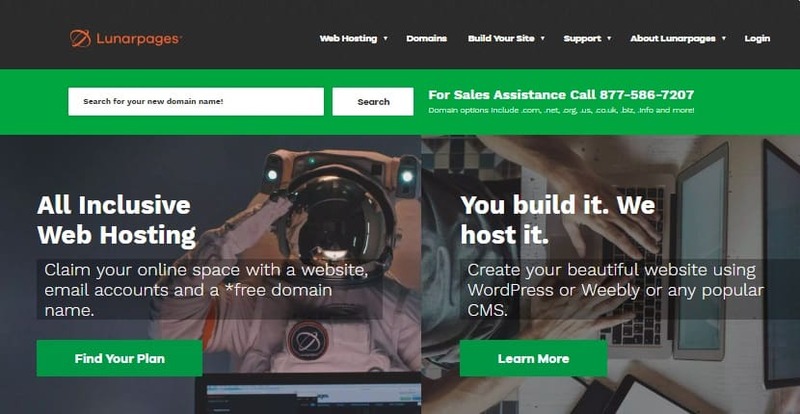 Lunar Pages Review 2019: Is Lunar Pages a Good Hosting? After twenty years, Lunarpages continues to offer stable hosting services and good customer support to high-end clients. One of the pioneer hosting companies, Lunarpages offers a variety of hosting services such as Windows and Linux hosting, VPS, and scalable cloud hosting. The company serves over 150,000 customers including top brands such as Sony, Cisco, and Microsoft. For such a legendary host, performance hasn’t been a problem. Lunarpages offers consistent uptime of 99.6%. With an average page load speed of 820 ms, the server response is up to 8% faster than market average. They’ve also invested in superior branded equipment and multiple redundant connections in secure data centers spread across three States. There are three control panels: Plesk, cPanel, and the custom LunarPanel (LPCP). Plesk is the default control panel for Windows shared plans and include the cPanel. All are free and included in their hosting packages. If you so wish, you can add the premium restore service, Shell access, Securelive protection, and Baruwa advanced spam & virus filtering. Managed services are available for customers who need remote service to take care of website upgrade or resolve server downtime issues. Though Lunarpages offers a variety of hosting plans, pricing isn’t their strong point. They’re quite expensive (for your information, they charge setup fee). I don’t know why, but the only plausible reason is they serve very high-end customers with deep pockets. But again, I can’t complain because they’ve been really consistent with service delivery. So if you don’t mind about pricing, you’ll have no issue with their packages. Under personal plans, you will find Starter Linux Hosting which comes with LPCP Control Panel, and 5 GB bandwidth, and 50 GB storage in addition to one FTP account. Basic Linux Hosting is the other plan. It includes a free domain name with an extension of your choice and access to the LPCP Website Builder or cPanel. Unlike the metered introductory plan, this one comes with unlimited storage. LunarPages doesn’t just offer personal hosting plans, it also has business planss. Under business hosting, they have three plans; Premium, Advantage, and Enterprise. With each you get free domain names, website builders, and at least 20 GB storage and 200GB bandwidth. SSL Certificates and Dedicated IPs are included in all the three PCI compliant plans. Scalable Cloud hosting plan, which are basically secure VPS servers with Plesk Onyx optimized for speed and performance are also available. Though quite expensive, these come with more bandwidth and storage space. They’re good options for mid-sized to large companies that are in need of stable hosting. I’d expect a company like LunarPages that has been in the hosting business for over 20 years to offer the highest level of support. But looking around, they have a mixed reputation when it comes to service delivery although they offer 24/7 support via email, live chat, and US telephone support. Customer support may not be their strength, but at least they get the job done. Overall, their website looks great and loads pretty fast though there aspects of design that I feel are outdated. What I like is that they’ve really kept the plans simple unlike other hosts who overwhelm customers with upsells and a list of features. One of the pioneer hosting companies, Lunarpages provides reliable hosting packages and a decent level of support to individuals and businesses. Wondering how Lunar Pages stacks up against other Web Hosting companies? Enter any other Web Hosting company and we will give you a side-by-side comparison.